It Bangla tips and tricks How to burn password protected DVD or CD? How to burn password protected DVD or CD? 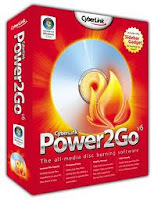 How to burn / create password protected DVD or CD? We all are used the CD/DVD in our computer and also write them in our computer but our personal data are not saved from other. Anybody can open the CD/DVD and see all the personal data. It is a big problem. Today I will share a software with you. This software will helps you to protect your CD/DVD with a password. After that open the CD and insert again, when you want to open the CD/DVD it will want the password. How to disable Microsoft windows error reporting? How to create a nameless folder? How to delete Recycle Bin folder from Desktop? How to browse your internet safely from hackers? How to change mp3 songs album picture?